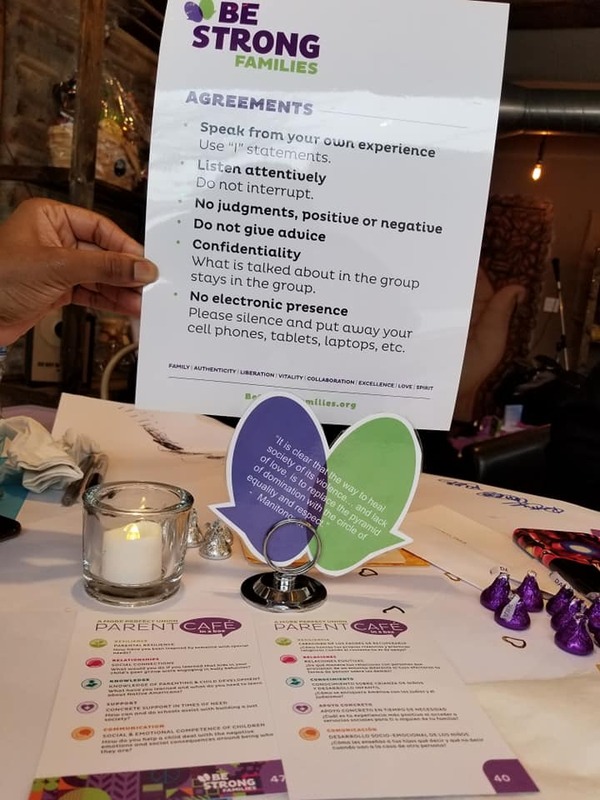 Throughout the Café, we offered the participants a moment of social media pause (before giving them a chance to post or tweet their reflection of the AMPU Café experience using the hashtags #HowWeHeal, #AMPUtruthandhealing and #AMPUAbrazandoDiversidad). In between rounds of conversations, participants were invited to step to the mic and perform uplifting songs, lead the group in a sing-along, and share empowering spoken word around the theme of racial healing. The performances were off the chain! The performances provided great balance and an organic way of framing the table conversations. Some of the themes echoed through the artistic performances included fear of differences, speaking one’s truth, acceptance and conversations on Love. The energy felt throughout the Cafés was one of authenticity and festiveness-typically rare for topics on this subject matter… but it just goes to prove that ultimately, we all want the same thing; we all want to live in a just world where difference is not shunned but celebrated and we can use our collective positive energy, talents and voices as a means to get there. One highlight from the event was our closing activity for the evening. Participants were asked to share “one word” to sum up their experience of their first Be Strong Families Art + Activism A More Perfect Union Café. The responses were overwhelmingly refreshing! Participants expressed great optimism about our ability as a nation to heal from racial injustice and other social justice issues touched upon in the café, one community, one family, one person at a time. “One Words” from the A More Perfect Union Cafés - #hashtags are used when one word just isn’t enough! If you want to sponsor an Art & Activism Event: A More Perfect Union Café in your community, contact Dena Chapman at dena@bestrongfamilies.net.